Below is a list of our most common sites as well as some very simple directions and links to google maps of the areas. You can scroll around on the google map to see more of the area. This can be useful for sending directions to your phone as well as getting directions from a specific address. This site hosts tests and other big events as well as weekly training nights. **Being part of a Chapter sponsored test or having a private training pass is required to be on the grounds. For a simple trip from the Minneapolis Area, take MN 36 east towards Stillwater. Turn north onto Manning Ave N, and continue on Manning for 5 miles. The driveway with the sign-in box will be on your left. For a simple trip from the Minneapolis Area, take Hwy 169 north from Rogers. Four Brooks is located 12 miles north of Milaca on the west side of Hwy 169, look for the large Tower on the west side of the highway. Please note when coming from the south, you may have to go past a driveway and use the provided U-Turn lane to go back south to turn into the site. 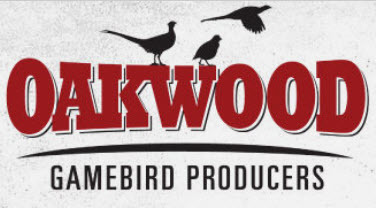 This site hosts a weekly training night as well as our Chapter’s Annual Pheasant Championship. For a simple trip from the Minneapolis Area, take Hwy 212 west towards Glencoe. Once in Glencoe, head north on County Road 2 and then west on County Road 22. Continue on County Road 22 for 4 3/4 miles to 125th St. Turn west on 125th street and take your second left onto Major Ave.
County Rd 7 & Mineral Ave-Virginia, MN Training & Testing grounds. Coming from the south? Heading north on US Hwy 53, take MN State Hwy 37 West to County Rd 7, then north. From Virginia, take US Hwy 169 west to County Rd 7, then south.